It's a truly wonderful thing that an increasing number of us are deciding to be more mindful about our choices for what we put in and on our bodies. Paying more attention to what we eat, where it comes from, the products that we buy and the companies that we support. There is so much information out there for us all to access, it's not hard to do our own research and look past the packaging and the advertising that is thrust upon us. It's more important than ever that we demand better for ourselves, our families and the environment from the things we consume every day. I truly believe that as much as we can, we should be a part of the solution and work towards lessening our burden on the planet and it's resources. We need to vote with our feet and our purses, consume less and make kinder choices about the things that we can't do without. Budget is of course a constraint for so many of us, and plays a huge part in steering the choices we make. Ethical living can feel expensive and unobtainable, but for me that's where the mindfulness of it all comes in. It's about understanding what we need and what we don't, not wasting money on fast food and fast fashion just because they are cheap. Thinking more about the future, understanding the true value of the things we buy and buying less of it all in general. Investing in quality, in products that don't exploit people or animals or the enviroment, and supporting companies who care about making the world a better place. If you're interested in pursuing a more ethical way of life but you're not sure where to start, there are some really helpful tips in my previous post that you might like. Sun screen is one of those products that we can't do without, it's a staple of our summers and we should all be careful about protecting our skin from too much sun damage. Living in the UK, too much sunshine isn't something we have to worry about for many weeks of the year. However, rates of skin cancer are on the rise here, and some experts recommend using some form of sun protection on our skin throughout the year to protect ourselves from the sun's harmful rays. During Spring and Summer when most of us will experience prolonged exposure to the sun, it's essential that we take precautions against damage to our skin. It goes without saying that covering up as much as possible, staying out of the midday sun and wearing a hat is important during the summer months, but I must admit to being a bit of a sun worshipper and not following much of that advice. When it comes to our children, trying to keep hats on their heads and clothes on their backs when they're diving in and out of the pool can be pretty hard to do, so applying sunscreen liberally and often is essential to protect their sensitive skin. Most of us are aware that many of the beauty products we buy are full of potentially harmful chemicals, and this includes our sunscreen. Although it protects us from UVA and UVB rays, it has the potential to do us damage in other ways. The ingredients are solely there to ward off sun damage, not to nourish our skin or our planet. Children are more susceptible to synthetic chemicals because their bodies are still developing, but as their skin has greater sensitivity to sunlight we lather them up in thick layers of the highest factor we can find. We think about the good we are doing in protecting them from the sun, but not so much about the harm we might be doing from the chemicals we use to protect them. Green People are a company I've loved for a long time, with a 20 year track record of not using aggressive ingredients or synthetic chemicals such as sodium lauryl sulphate (SLS), parabens, phthalates, petrochemicals, alcohol (ethanol) or synthetic fragrances or colourants in their products, and never testing on animals. I'm a huge fan of their sun lotions, especially their organic one that's designed for children. It's unscented so doesn't carry that awful smell that mainstream sun lotions do, and their adult lotions are gently scented with essential oils and smell great. - It's free from potentially harmful chemicals. Green people's sunscreen contains Edelweiss to protect against UV rays, Green Tea extract to reduce premature ageing caused by the sun and avocado and rosemary to nourish and soothe the skin. - I suffer from eczema. 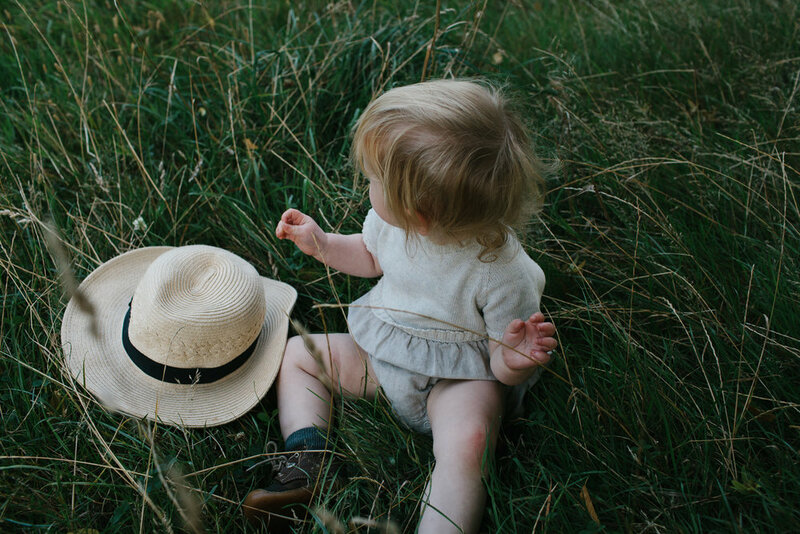 Although I don't think we as a family have very sensitive skin, all of us are prone to occasional dry patches and I do get eczema quite badly on my hands and arms which gets worse during the summer. Traditional sun lotions make it a lot worse, and I find that when I use natural products my skin is so much happier. - It doesn't damage the oceans. 25% of sun cream is washed off during a twenty minute dip in the paddling pool, swimming pool or in the sea. The chemicals left behind from mainstream sun lotions are getting ingested by other children, adults and marine life. In fact, the chemicals found in mainstream sun creams are causing severe problems to life in the ocean, with 10% of the world's coral reef's under threat from sunscreen induced coral bleaching. - It's kinder to our skin. Mainstream, waterproof sun lotions block pores and prevent your skin from breathing, which can trigger prickly heat. It's like wrapping your skin in clingfilm! instead of synthetic pore-clogging ingredients Green People use Beeswax and Berry Wax to naturally repel water without blocking sweat glands. - because SPF30 is enough. Like most people, I assumed that SPF50 offers almost double the protection of SPF30, but in fact SPF50 only offers 98% protection compared with SPF30 offering 97% protection. The key with sunscreen is to reapply often to get the most protection from both UVB and UVA rays, and I feel a lot happier reapplying it so often when it's full of organic and natural ingredients rather than potentially harmful chemicals. This post is written in collaboration with Green People, who sent me some products to test out in exchange for a feature. All words and thoughts are my own, and I feel strongly about only promoting products and companies whose ethics align with my own. Thank you for supporting me and the collaborations I share with you.